An unnamed man has been arrested following the murder of two Nordic nationals at the High Atlas mountains in Morocco. Luisa Vesterager Jasperson from Denmark and Maren Ueland from Norway were murdered early in December by a group of people claiming to back the Islamic State terrorism movement. A video was released alongside their murder showing one of the tourists being beheaded which the Norwegen Police believe to be genuine. Morrocan Police have released pictures of three suspects they believed to be involved in the double murder. Four were made earlier in the month by Moroccan authorities to further their investigation into the murders. 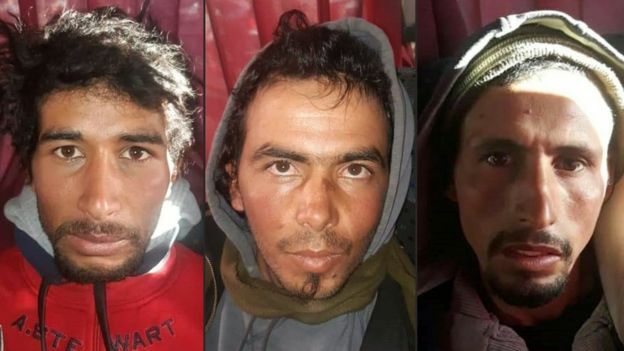 The four arrested are being considered as suspects and had pledged their allegiance to the Islamic State group despite initial investigation showing no contact with groups in the Syrian or Iraqi regions. The Swiss-Spanish national had been arrested for "teaching some of those arrested... about communication tools involving new technology and training them in marksmanship." It's also been confirmed by authorities that this male followed an "extremist ideology."